3 year Honours academic acupuncture degree course accredited by British Acupuncture Accreditation Board (BAAB) linked to the British Acupuncture Council (BAcA). They vary with respect to the balance between theory and clinical practice. BAAB accredited acupuncture courses are based on a total of 3,600 hours, of which a minimum of 400 hours must be spent in a “clinical setting”. You need to know how many of the 3,600 hours are actual contact hours and how many are private study hours. Also how many patients does each student actually treat under supervision in the 400 clinical hours and how many patients must each student treat to obtain their qualification? 3 year, non-degree level courses resulting in a Licentiate in Acupuncture (Lic.Ac) accredited by BAAB. These non-degree level courses claim to offer a more clinical approach than a 3 year honours acupuncture degree. Before you decide on a non-degree course, you need to know what these differences are. The term ‘Licentiate’ is the title of a person who holds a certificate of competence to practise a particular profession. (Oxford Dictionary). The longer ones are over one or two years. When choosing an acupuncture course, be sure you understand the time allocations. The hours of contact are meaningful but “days” and “years” are not. If you want to practice as an acupuncturist and are happy to have all the essential TCM theory for safe and effective treatment, a good, non degree course could satisfy your needs. When choosing a combined Acupuncture and Herbs course you need to know how many contact hours are actually spent on acupuncture. Two – five day Medical Acupuncture courses for Statutory health professionals have been around for several years. Dry Needling Acupuncture courses for sports injuries have been made available to Sports & Massage therapists. Dry Needling is not acupuncture based on Traditional Chinese Medicine (TCM)theory using the Meridians and their acupuncture points but Western trigger points.They do not teach Meridians and their Acupuncture points and should not be described as acupuncture courses. There are other very short courses described as Musculo-skeletal acupuncture courses or Orthopaedic courses which enable you treat acute injuries as well. All these short courses do not cover in depth the application of TCM theory to diagnosis. Having done one of these courses you may be able to get pain relief from trigger points for sports injuries, however an understanding of TCM theory can produce amazing results by treating the energetic problems which affect healing. Common chronic musculo-skeletal conditions are also caused by TCM energetic stagnation and or deficiency. There is a trend toward Continued Professional Development (CPD) training courses which can be useful but not as a substitute for a comprehensive acupuncture training course. How do you decide which acupuncture course is right for you? How long the teachers have been qualified in acupuncture and its reputation for excellence. Beware of some acupuncture and Tui Na courses whose strengths lie in website design rather than expertise in the subject, which often lack a wealth of learning and experience. Very short acupuncture courses have to focus on limited aspects of acupuncture, making it necessary for you to do several other follow up CPD courses. 22 years ago I ran a 12-day acupuncture course and immediately realised that you cannot teach all the basic TCM theory and provide the essential supervised clinical practice in 12 days to the standard I would require. We do not offer an academic degree. Everything we teach is taught at the same level as an Honours degree course but is much more focused and very intensive. We also expect the same level of TCM understanding as would be required in a degree course. 50% of contact time is spent doing supervised accurate needling in an authentic clinical setting. We only teach the essentials and do not treat acupuncture as mainly an academic exercise. Quoted hours are contact time and do not include a much longer period of private study. Our Acupuncture Diploma is a licence to practice acupuncture at the highest level of patient care, backed up by sound academic knowledge – Bodyharmonics Licentiate of Acupuncture (BH Lic.Ac). Our course is like the cake without all the fancy trimmings! We do however, cover all the theory that is necessary for competent diagnosis and safe and confident needling which would easily enable you to compete successfully with a Honours graduate in acupuncture. Our acupuncture courses attract students nationally and internationally. Our Acupuncture course is unique in that it enables you to learn and qualify in Tui Na whilst studying acupuncture. Acupuncture & Tui Na are essential partners in the treatment of musculo-skeletal conditions. ©Maria Mercati. 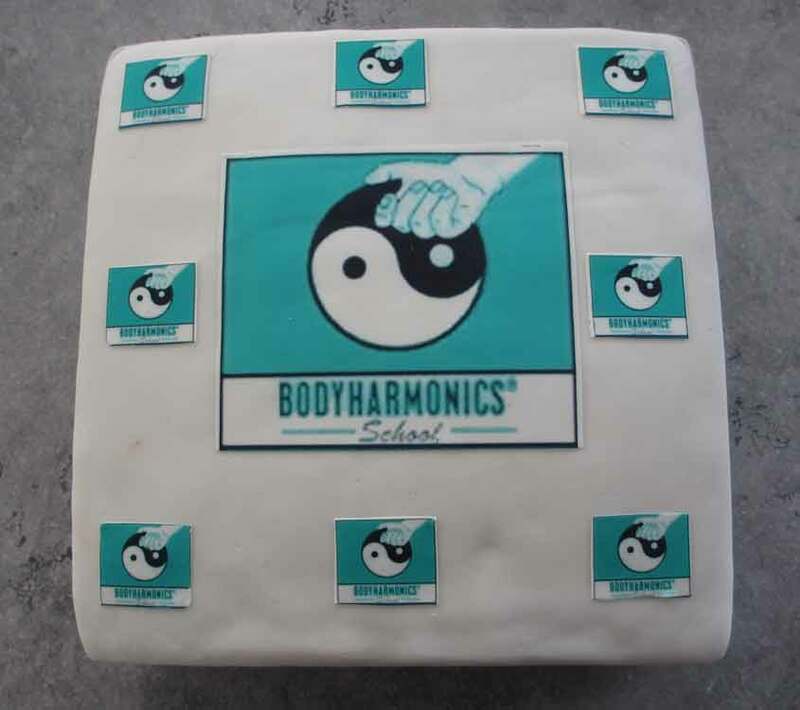 Bodyharmonics acupuncture courses are examined by an external examiner – Danny Van Laethem who was a principal lecturer in the Department of Traditional Chinese Medicine at the University of Antwerp. He requires the high standards comparable with those of university students with whom he has been involved in Belgium.